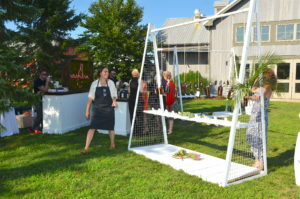 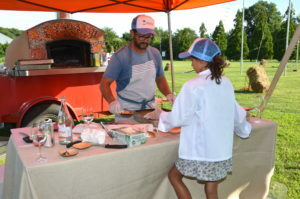 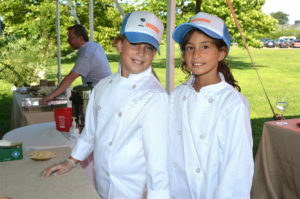 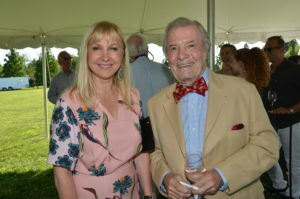 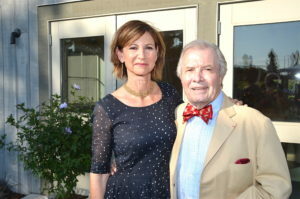 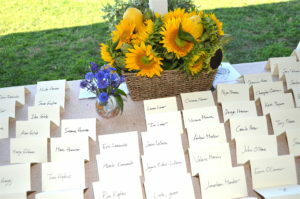 July 29, 2018: Ten chefs prepared a five-course meal in honor of Jacques Pépin at the 14th annual Hayground School’s benefit “Chefs Dinner” on Sunday, July 29 on the School’s grounds in Bridgehampton, NY. 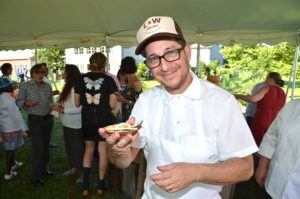 The Chefs included Josh Capon, Jessica Craig, Christian Mir, Ayesha Nurdjaja, Francois Payard, Joe Realmuto, Hillary Sterling, Bill Telepan, Carissa Waechter, and Jason Weiner. 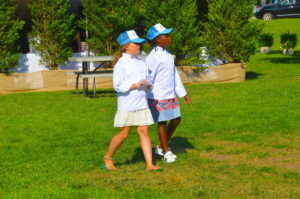 The benefit dinner raises much-needed financial aid for Hayground School, an inclusive, diverse school that incorporates an expansive Edible Garden/Kitchen Science program into its curriculum on its pastoral grounds. 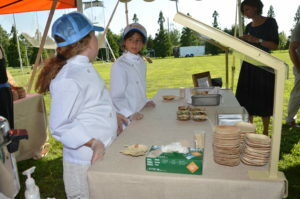 The honorary chairpersons of the Chefs Dinner are Sarah Jessica Parker and Matthew Broderick. 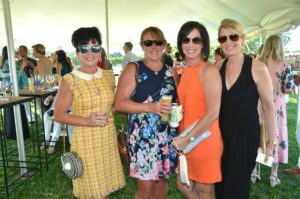 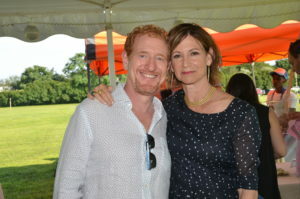 The evening began at 4:30 with cocktails and hors d’oeuvres served under a tent and prepared in Hayground’s Jeff’s Kitchen. 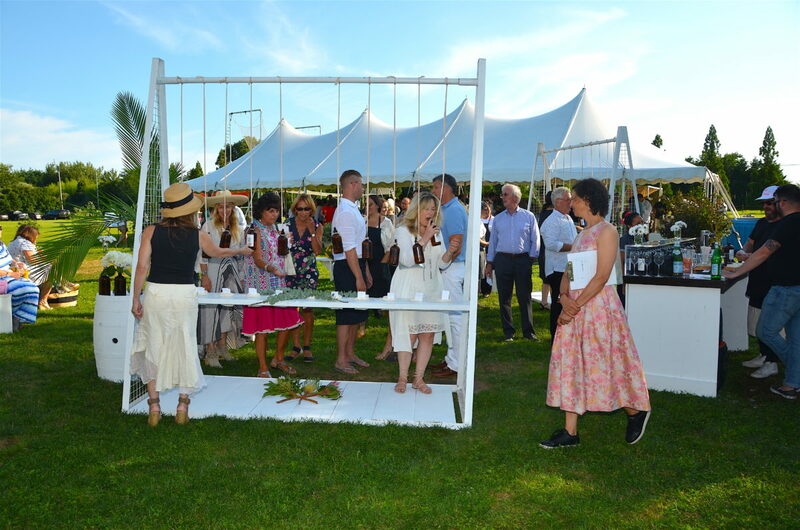 A five-course dinner with superb wines followed—arguably the finest meal of the summer. 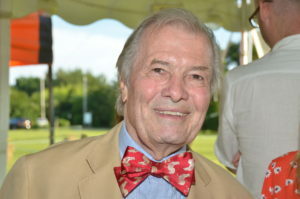 During the meal, for the first time ever, there was a live conversation between chefs Jacques Pépin and Eric Ripert at the end of dinner. 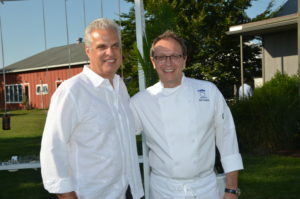 To honor Chef Pépin, this year’s five-star chefs included: Josh Capon of Lure Fishbar, Jessica Craig of L’Artusi, Christian Mir of Stone Creek Inn, Ayesha Nurdjaja of Shuka, François Payard, Joe Realmuto of Nick & Toni’s, Hillary Sterling of Vic’s, Bill Telepan of Oceana, and Carissa Waechter of Carissa’s The Bakery and Jason Weiner of Almond. 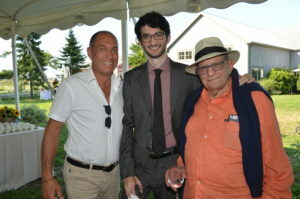 Cheeses from fromager Michael Cavaniola and wine from Château d’Esclans round out the tasting menu.